Welcome to the Shire of Border Vale Keep! 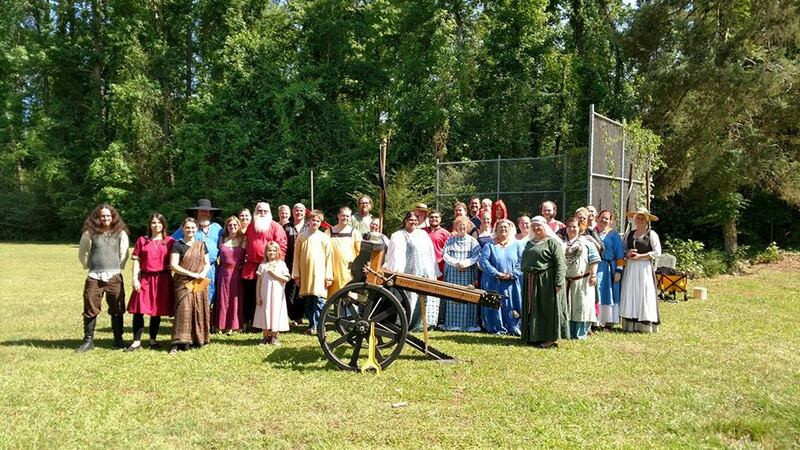 The Shire of Border Vale Keep is a local chapter of the Society for Creative Anachronism, Inc. (SCA) encompassing the area of Augusta, Georgia. The SCA is an international, non-profit, educational organization dedicated to the study and re-creation of the European Middle Ages and Renaissance (roughly between 600 and 1600 AD). The shire exists within the boundaries of the Kingdom of Atlantia, which also includes Maryland, the District of Columbia, the Carolinas, and most of Virginia. To see a sample of the various activities the SCA offers, please visit the Newcomer’s Portal. Interested in joining us or learning more about our shire? Feel free to contact our Newcomers’ Officer, known as the Chatelaine, and/or the Seneschal (Chapter President). Contact information is located on the Officers page. Highland Avenue Fire Station #8, 1898 Highland Ave, Augusta, GA 30904. Parking is accessed from Parkway Dr, just before Wood Park. An Introduction to the SCA class is held on the first Sunday of each month from 2-3PM (14:00-15:00 for military folks). There is no fee for this class. Contact person: Stacey Berg 706-951-2437. Location: Highland Avenue Fire Station #8, 1898 Highland Ave, Augusta, GA 30904. Parking is accessed from Parkway Dr, just before Wood Park. For more information about shire meetings, please check out our FaceBook Group or contact the Seneschal. April 19-21, 2019. Hosted by the Canton of Saint Georges in Easley, SC. April 19-21, 2019. Hosted by the Barony of Marinus in Clarkesville, VA. Their Royal Majesties will be attending. June 7-9, 2019. Hosted by the Barony of Raven's Cove in Apex, NC. Their Royal Majesties will be attending.